Sales of the Ford F Series were up 37 per cent in November in Canada. Auto sales in Canada rose 10.4 percent last month as strong performances from Ford and General Motors helped end a four-month skid. The unexpected spurt restores confidence that the Canadian market will set another sales record in 2016. However, breaking the 2-million barrier, which seemed possible a few months ago, is not going to happen. With 11 months in the bank, year-to-date sales stand at 1.83 million, 3.0 per cent ahead of this point last year. Automakers would only need to tally about 80,000 sales in December for 2016 to top last year’s record of just under 1.9 million. That should be do-able, given that over the past 10 years, December sales have averaged 115,000. For a complete list of automakers' Canadian November sales, go here. Not every automaker reported their detailed sales figures on Thursday. Some weren't complete until Friday. It should be noted that November’s tally was based on two more selling days than last year. Assuming unchanged daily selling rates, that alone would account for an 8.3-per-cent sales gain for the month. As it was, the Detroit Three surged 15.9 per cent while the offshore-based brands gained 5.7 per cent. And Detroit achieved its growth without any help from FCA, which dipped three per cent when all its brands are included. The headliners were Ford, up 18.2 per cent, and GM, up a huge 30.8 per cent. A big chunk of GM’s bounce came from its midsize Colorado and Canyon pickups: their sales almost quadrupled, to 2,345 from 642. Yet that didn’t cannibalize large-pickup sales, which grew 17.6 per cent. GM’s Chevrolet and GMC full-size SUVs also quadrupled their sales, while mid and small SUVs also posted robust gains. Total GM truck sales were up 44 per cent while GM car sales sagged 4 per cent. GM traditionally maintains the most even balance between car and light-truck sales among the Detroit Three but in November the car share of its sales shrank to 20 per cent from 28 per cent last November (in comparison, cars were only 6.5 per cent of FCA’s November sales). 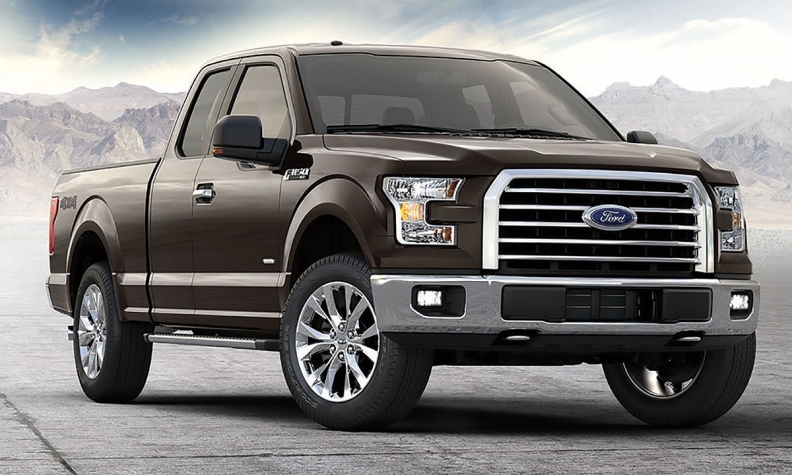 Ford also swung sharply to trucks (up 25 per cent in November) at the expense of cars (down 11 per cent). Ford F Series (up 37 per cent) and Escape (11 per cent) both set November record sales. Detroit’s truck extravaganza helped drive trucks’ share of the overall market to a new high of 68 per cent for the month. But it wasn’t only Detroit. Toyota Canada contributed to the trend by locking in a new annual truck sales record with one month still to go. Mazda truck and car sales grew 22 per cent and fell three per cent respectively; the Nissan brand, up 27 per cent and down 11 per cent respectively. A similar trend was strongly evident among the European luxury brands. Appearing to buck that trend, Honda Canada credited cars for propelling it to a new November record, with special mention for the Fit and HR-V. According to most analysts, however, the HR-V – a compact-CUV – is considered a light truck. Also of note in November, Kia grew its sales 21 per cent even as its parent company, Hyundai, dipped 5 per cent. And Hyundai’s total included 45 debut sales for its new Genesis luxury brand.